We’re all familiar with the various stereotypes associated with tech startup founders: they’re young, they were educated at schools like Stanford and MIT, and they likely studied computer science or a related field in STEM (science, technology, engineering, and math). In an attempt to validate some of these stereotypes associated with tech entrepreneurs, Endeavor Insight – the research arm of the global nonprofit that looks into how high-impact entrepreneurs contribute to economic growth – closely studied the New York City tech scene in 2014. In a recent article in the the Harvard Business Review, project leader of this study, Michael Goodwin, writes their findings on the average tech entrepreneur. 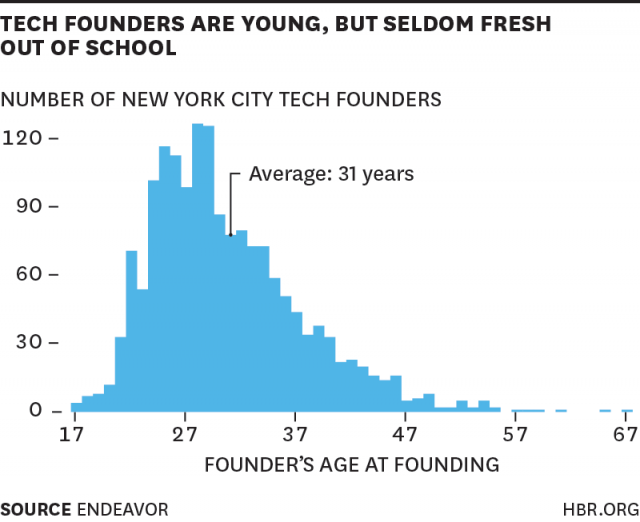 Endeavor’s research found that while a good majority of tech startup founders were indeed in their twenties, the age of the average tech entrepreneur was 31 years old. Their study also found that 25 percent of founders were older than 35 years old. Taking it a step further, they combined these findings with last year’s research from Harvard Business Review which looked at the ages of the most successful tech entrepreneurs, and found that there was no relationship between the age of a tech entrepreneur and his/her company’s success. 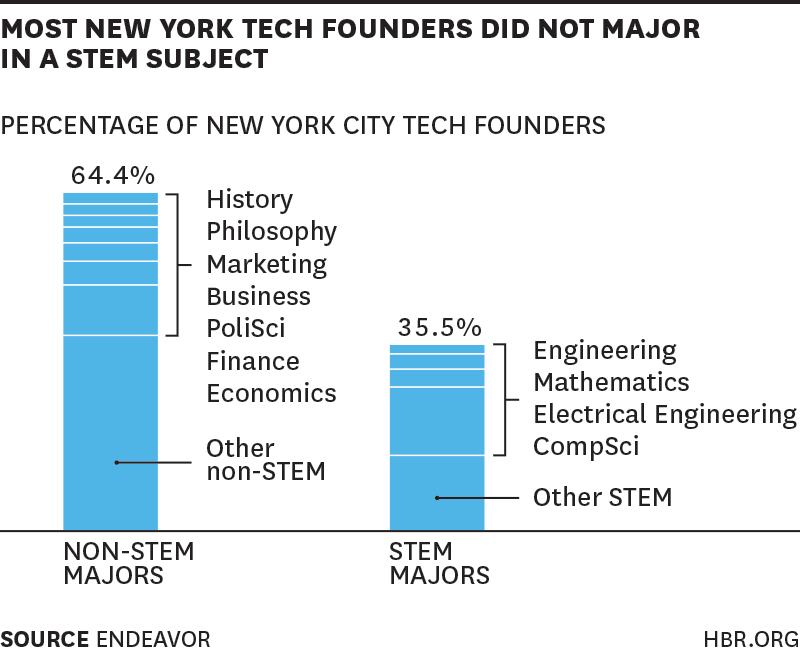 Additionally, the study from Endeavor showed that the majority of Silicon Alley startup founders majored in something other than STEM, with only 35 percent of all founders pursuing a STEM degree while at college. So, whereas the popular belief is that the average tech entrepreneur is, well, technical, the research showed that many more were likely to study political science than they were to pursue math. For this study, Endeavor Insight started with publicly available data from Crunchbase, AngelList, and LinkedIn. 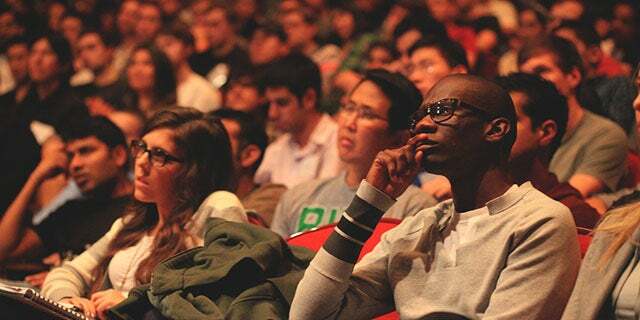 The organization then interviewed close to 700 local tech entrepreneurs in NYC. Because of the size of the New York tech scene, the findings from this research could be applied generally to the average tech entrepreneur. But, while the study arrives at the conclusion that the stereotypes typically associated with tech founders don’t apply, the isolation of one particular tech scene and applying the findings to startup entrepreneurs in general has its flaws; particularly, it’s important to note that every startup ecosystem (and the populace of which it’s comprised) is different, and such disparities can be pretty stark. For one, while Endeavor’s research found that most tech entrepreneurs in NYC’s startup scene are alumni of schools outside the immediate area, the same possibly could not apply for Silicon Valley’s ecosystem, where large tech companies like Google and Facebook get a bulk of employees from nearby schools Stanford and UC-Berkeley. There are also differences in industry specialties – from politics in DC’s tech scene, to agriculture in Kansas City’s – which could also contribute to overall shifts in the “average” tech entrepreneur. It’s an interesting study and certainly shouldn’t be discounted, but it merely tells us that some of the stereotypes associated with startup founders don’t apply to the New York tech scene in the particular (rather than a blanket application to the entire startup ecosystem).